Gift card programs have proven to provide a major incentive to retail store customers, both in terms of increasing the amount of the average sales transaction and in attracting new customers. So when setting up your retail merchant account, it might be a good idea to enquire as to also implementing a gift card program (many providers of retail merchant accounts also offer gift card programs). We’ll first discuss what’s involved in setting up an ‘electronic’ gift card program and the benefits gift cards can afford. Then we will present our recommendations of four leading gift card programs. What are Electronic Gift Card Programs? Everyone is familiar with the traditional mode of paper-based retail gift certificates. But electronic gift cards are quickly becoming popular with retailers everywhere. Electronic delivery of gift cards provides a number of significant advantages over their paper-based alternative. They eliminate the cost of paper and associated printing & labor costs, substantially reduce the risk of fraud and are much easier to track and monitor. Also, if a customer spends less the full gift certificate amount, the excess is not lost. You do not have to provide the customer with the excess in cash – rather, it remains available to the customer on his card, thereby prompting future sales and offering an incentive for the customer to reload the gift card. Your customer purchases the gift card, using cash or any other method your business accepts. The gift card is activated by being swiped in a POS retail terminal. Your cashier then inputs the purchased amount onto the gift card (called the ‘load value’). Both the customer and the cashier receive a receipt. Thereafter, the customer utilizes the loaded card (up to its loaded value) when he buys your goods or services. Your cashier checks the status and dollar amount of the card on-line (via the card’s magnetic stripe). The card is then swiped by your cashier through the POS equipment and inputs the amount of the purchase. A receipt is printed, containing the purchase data together with the balance that is still available on the card. The balance can also be viewed through the point-of-sale terminal. 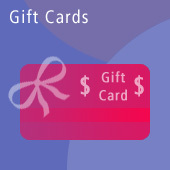 Card history reports for each gift card detailing each customer’s purchasing behavior. Merchant’s reports include purchases, activations and de-activations. You can access reports online, for both individual and total transactions, including date, time, transaction type and amount. Programs are usually completely customizable to the merchant’s needs. Both rechargeable and static cards are usually offered. Gift card customers usually return to your store & generate new sales, spending 40% more than the card’s face value. Typically 20% of gift card holders do not spend the card’s full value – the remaining balance goes to your bottom line. Customized cards displaying your store’s branding have higher perceived value than paper certificates. Gift cards can be used when a customer makes a return. Dollars remain on the card, where the customer can use them for future purchases from you. They offer more security than paper gift certificates, as they are not easily copied and are of no value until activated by your employees at the time of purchase. Manual handling and tracking of paper certificates (and the associated costs) is eliminated. Assists in maximizing other promotional and loyalty programs. Gift cards serve as an ongoing advertisement in your customer’s wallet. For your customers, electronic gift cards offer more convenience than paper gift certificates (no more paper to fold and carry) as well as more flexibility in the goods or services they can use them for. A variety of appealing & unique gift card designs are available. Customize the design with your business’ name and logo. Works with your existing point-of-sale terminals. Customers can load from $1 to $250 on their card. Increase impulse purchases by prominently displaying your gift card program at the check out counter. Utilize the gift cards to reward top customers (for example, offer a free $10 card for every purchase in excess of $200). Three separate program packages available (200, 500 or 1,000 cards). Each package is designed to offer full turn-key capabilities that will have your gift card program functioning very quickly. Full array of colorful POS materials attract attention & help promote additional sales. Select your cards’ design from twelve available options. Customize the design with your own logo and artwork. Enjoy increased sales and loyalty, and convenience for your customers. Offers two distinctive electronic gift card programs that can be seamlessly integrated with almost any POS terminal or software system. Add your business name and logo to a selection of attractive card design templates (minimum order of 100 cards) or design your own full-color customized cards (minimum order of 500 cards). Eliminate costly interchange fees, with the closed loop Nova Network. Monitor transaction details and card balances online. Cards may be loaded with any denomination or with pre-set minimum and/or maximum card values. Gift cards are customized with your logo and company theme. Matching gift card holders available. Can deactivate lost or stolen cards. Their programmers assist in the integration, testing and downloading of the software. Custom-sorted reports available online in multiple formats. Quick link to the Internet for instant statistics and tracking information. Toll-free support for each of your locations 24/7. If you are in the process of locating a retail merchant account, give some thought to adding a gift card program to the mix.